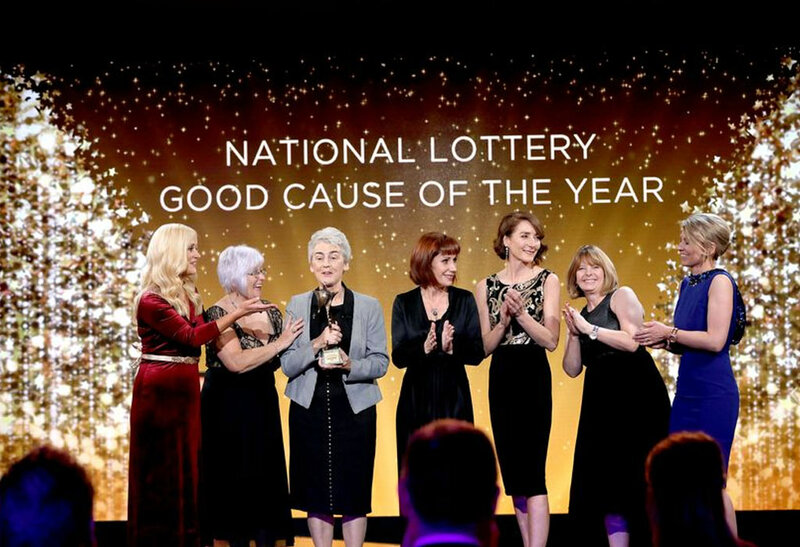 All here at the Children’s Grief Centre are delighted and honoured to have won the National Lottery’s Good Causes Award in both the Youth Category and the Overall Award for 2018. There were 36 finalists over six categories from which, the National Lottery chose both the category winners and the overall winner. We were very fortunate to win €10,000 as winner of the Youth Category and €25,000 as overall winner. A video about the Children’s Grief Centre was produced for the event and was broadcast on Virgin Media_one (formerly TV3) on Sunday the 11th November at 9.30pm and also featured all the other winners of the seven categories including, Sport & Recreation, Community, Health & Wellbeing, Youth (Children’s Grief Centre’s Category), Heritage, Arts & Culture, and Irish Language.